Josie Natori’s irresistibly fresh new fragrance, JOSIE, is a scent made to empower women. Floral and sensual notes contrast with vibrant and modern notes to create a complex accord that is enticing and bold. Eclectic and full of life, this fragrance appeals to women who are forever thinking youthful. Josie, known for blurring the lines between lingerie, RTW and outerwear over the course of 37+ years, now enlivens the sweet senses with her new fragrance. The vibrance and playful colors in her collections give way to playful patterns and textures. Transitioning in the spirit of NATORI, the scent allows a woman to be charismatic and living life with no apologies. 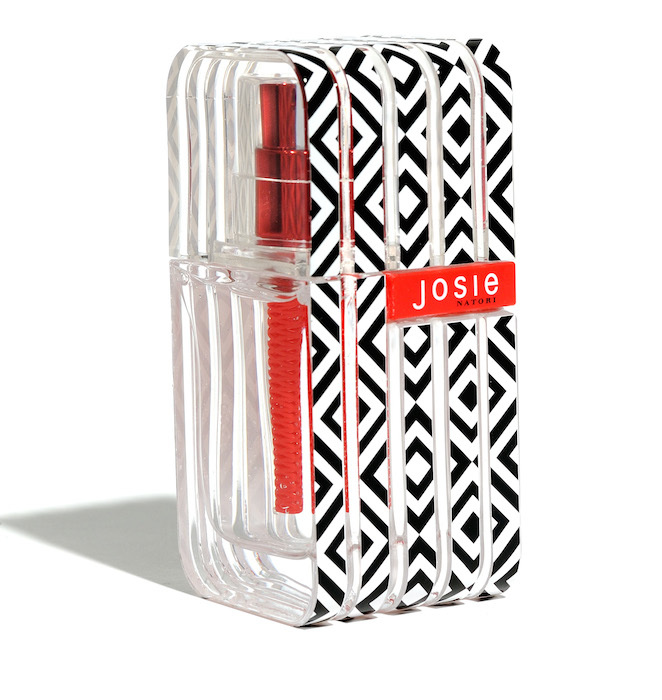 The packaging of JOSIE remains true to the character with bold black and white geometric patterns. Daring, the textured bottle with graphic design stands out with bright pops of red. Very cute! JOSIE comes in Eau de Parfum (3.4oz; $95, 1.7oz; $75), rollerball (.25oz; $22), body cream (6.8oz; $58), and body lotion (6.75oz; $45). Summer fresh: JOSIE fragrance by JOSIE NATORI written by Nadia Hartvigsen.